What happens when you add a child to your auto insurance policy? Ready to add a son or daughter to your existing auto insurance policy? Here's what you need to know about related coverage and rate changes. Starting to drive is a major milestone in life and a pathway to independence. To support your children in this learning effort, you should have a basic understanding of the coverage options and how this will affect your rates. Do I have to add my child to my auto insurance policy? When your son or daughter obtains their G1 license, they do not have to be added to your insurance policy. Once your child obtains their G2 license, you will need to add them to your policy. We will require a few pieces of information to add them to your existing insurance coverage. This includes the date they received their G1 license, a copy of their temporary G2 license, and confirmation of driver’s training. Your new driver can obtain the required paperwork from any Service Ontario location for a small fee. How can I add my child to my existing auto insurance policy? If you have only one vehicle, you will add your son or daughter to your policy as an occasional driver. In situations where you have two or more household vehicles, the new driver could become the principle driver of the additional vehicle. Listing them as a principle driver does come as an additional expense. Whether you are adding your child as a principal or occasional driver, ensure that they complete driver’s training. Driver’s training offers your child valuable on-road experience. This infographic from Insurance Hotline outlines a few of the driver's training benefits. 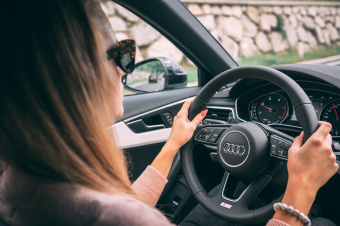 Your rates will also be lower if they have completed the training, as most insurance companies consider this the equivalent of up to three (3) years driving experience. We also recommend that your new driver graduate from their G2 license into a full G after the set 12-month waiting period. Some insurance companies will allow a 10% discount for the first 12 months after obtaining a G2 and then apply an additional 10% discount when the full G test is passed. Note that this discount is only applicable if there are no convictions or at-fault claims. Your rates will see the benefits of this discount. Encourage your new driver to act quickly on passing their full G test, rather than waiting the legally-allowed five-year period. Search for a DriveTest Centre near you here. What happens when my child wants to purchase a new vehicle? We recommend that younger drivers purchase an older model four-door sedan type vehicle. This vehicle type will help with obtaining lower auto insurance rates. Vehicle colour does not matter. Avoid sporty, GT-model vehicles, SUV’s, and pickup trucks to avoid seeing substantial rate increases. As a parent, it can be emotional to see your child becoming more independent by driving. If you are supporting your child by adding them to an existing auto insurance policy, we are happy to help you get the right information around best coverage options and related rate impacts. Whatever your choice of ride, we can offer you comprehensive coverage at the right rates. Our coverage will help every member of your family enjoy the independence of safe and reliable auto coverage.